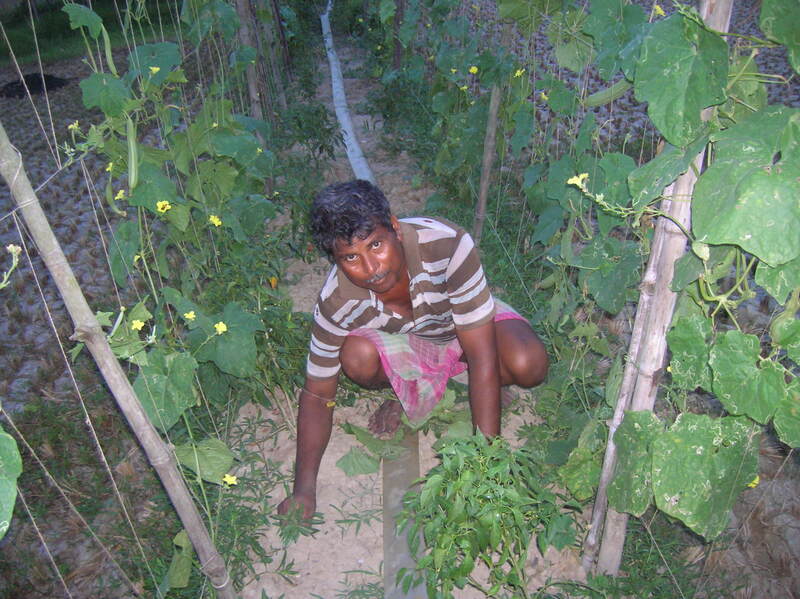 On prolonged usage of chemical fertilizers and pesticides Manab Halder’s entire farming land was slowly turning into a barren land. The crop productivity decreased to a large extent. This led to extreme financial crisis; it became difficult to sustain his family, to support his children’s education. At this juncture of his life, in the year 2011, Manab came in contact with MUKTI through a workshop on sustainable agriculture. 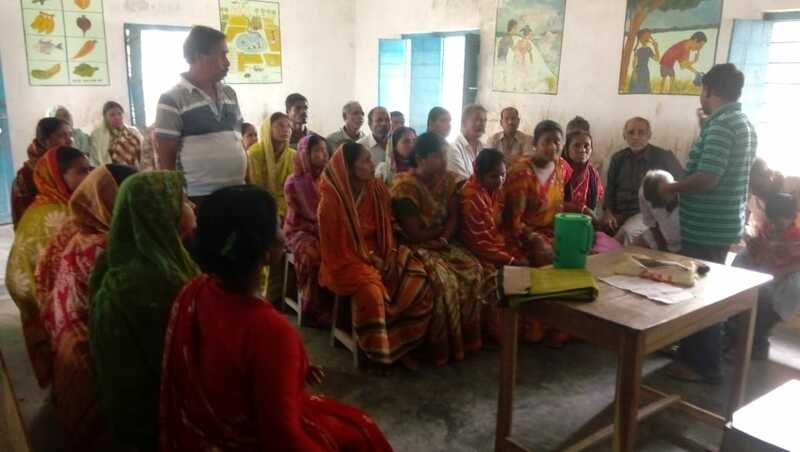 Upon completion of the workshop, he started implementing organic agriculture. 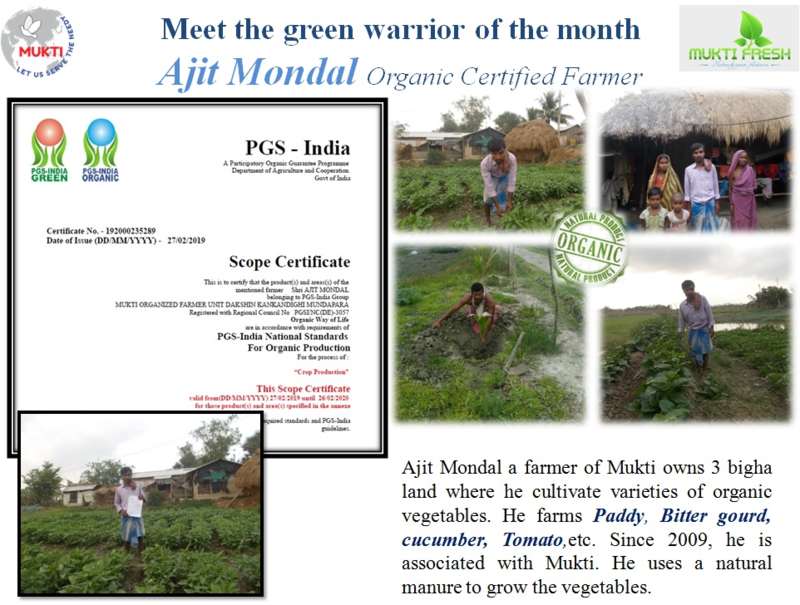 With consistent effort, he is now a notable farmer in his area and in MUKTI. Now, he inspires other fellow farmers to adopt organic farming methods. MUKTI wishes him all the very best.